Sarkeys Foundation selected Neighborhood Housing Services Oklahoma (NHSOKLA ) as a recipient of a $10,000 grant for its foreclosure prevention program. 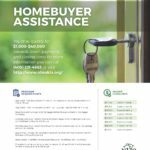 For homeowners who are struggling or unable to meet their mortgage obligation, NHSOKLA offers free counseling and serves as their advocate. Few things in life are more traumatic than the idea of being financially overwhelmed and potentially homeless. “Neighborhood Housing Services Oklahoma is very grateful to Sarkeys Foundation for this foreclosure prevention program grant, which makes a positive difference in the lives of Oklahomans who are facing difficult circumstances,” said Roland Chupik, executive director. 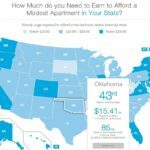 Neighborhood Housing Services Oklahoma (NHSOKLA) is a nonprofit community development organization that specializes in financial counseling and affordable homeownership. Founded in 1981, our HUD-approved housing counselors are impartial, trained professionals who help clients make responsible decisions.